It is hard to believe but lead paint is still being used around the world in homes, schools, and even for consumer products. In fact, it is commonly available in every paint store in Asia and Africa where the industry is experiencing its most rapid growth. As someone who has seen the public health impact of lead paint in the U.S., this is sobering news. But that is why I am reaching out to ask for your help. In addition to my role in LEHA, I am also on the Board of Directors of Occupational Knowledge International (OK International), an organization that has been at the forefront of exposing the extent of this problem around the world. 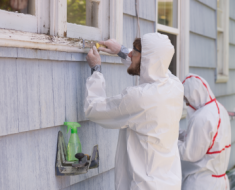 They helped initiate the Global Alliance to Eliminate Lead in Paint run by UNEP and the World Health Organization and sit on its executive steering committee. Currently the organization is working in eight countries in Asia and Africa on programs to raise awareness, test paints, develop national regulations, and to encourage both small and large paint companies to reformulate. But despite our success, we need to double our efforts to limit the production of lead paint in dozens of countries with rapidly expanding paint industries. And we need to stop this public health menace before another generation of children is poisoned! 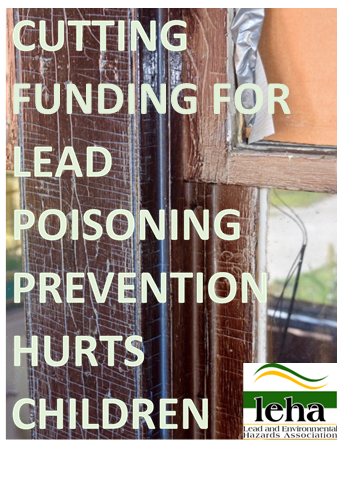 That is why I am contacting you to seek your support for our programs that are making a difference on the ground in protecting children from the well-known hazards of lead paint. We need your financial support to help us to continue to make an impact and help our project partners around the world. Please send OK International a donation or go to the link on our web site at (www.okinternational.org) to make a tax-deductible contribution. P.S. – Your donation will help us improve the lives of children around the world!